The CHT-OPA is a general-purpose quad operational amplifier for applications over the temperature range from -55 to 225°C. The CHT-OPA can operate with both single and symmetrical power supplies. The supply voltages range goes from 4.5 to 20V. If you need support for your high temperature design, contact Cissoid. Download CISSOID's Altium Library for IC symbols and package footprints. For installation, read the related Application Note. 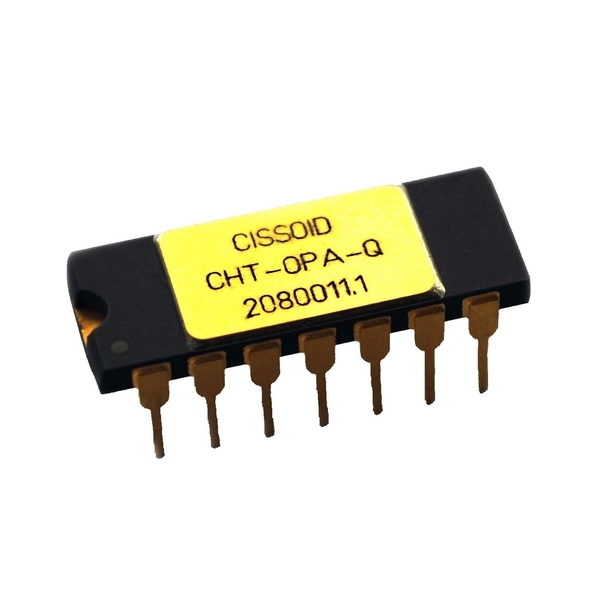 Supporting its customers in the manufacturing of high temperature and high reliability hybrid modules, CISSOID delivers most of its CHT products as bare die. Please, do not hesitate to contact CISSOID to request die map information including die dimension, die finish, location and description of the bonding pads.